Employment legislation places a variety of obligations on all organisations employing staff, whether on a full-time, part-time or sessional basis. For many youth groups/organisations, especially those in the voluntary sector, it can be difficult to keep up to date with the regular changes and to be sure that you have the right procedures in place. These services are for Youth Scotland Member Groups Only and you will be required to quote your Youth Scotland Membership number and details when accessing these services. Advice included free is limited to 30mins/2 advisements. To register: go to this webpage and have your member group details and Youth Scotland membership number handy. Your Youth Scotland membership number will begin 350. To login: go to this webpage and enter your details. Get things right from the start with LAW’s up to date, legally compliant policies that you can view, download and use in your own organisation. Hosted on the LAW website – you can register for access here. LAW will approve access for Youth Scotland members within 24 hours. Keep up to date with developments in Employment law, HR and Health & Safety without leaving your inbox. Sign up for LAWmail right here. Absolutely free and always in heavy demand, LAW’s 6-monthly 90 minute sessions throughout Scotland bring you the most relevant, up to date content in these ever-changing fields. 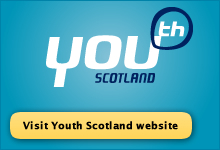 Youth Scotland members are guaranteed one spot at each seminar. See details of upcoming employment law updates here, and health & safety updates here. Put down your policies, handbooks and guidance and get stuck in to these practical seminars. These half-day sessions emphasise practical management skills, the impact of the law and useful tips and tricks for dealing with challenging people problems. Recent topics include the very current debate around equal pay and top tips for conduct issues. Youth Scotland members receive a 50% discount, making these courses only £65 per delegate. Dates, locations and topics are here but please call us to book, quoting your Youth Scotland membership, in order to receive the discounted rate. If you come up against a people management issue, don’t panic. Youth Scotland members benefit from two free telephone consultations with LAW’s legal team, who specialise purely in employment law and HR. Plus, LAW have a wealth of experience in the Scottish voluntary sector, so they understand the challenges that you face. Call them directly on 0844 736 1176 or email info@lawatwork.co.uk. You just need to let LAW know where you’re calling from, and that you’re a current member of Youth Scotland. They’ll check your name against a database, and then put you right through to one of their highly qualified employment lawyers. The partnership we have with LAW is extensive, but there are times when more hands-on support is needed. Don’t go to a pay as you go law firm and run up a bill: LAW offer annual contracts at fixed, all-inclusive annual fees. Plus, Youth Scotland members who wish to upgrade to the full LAW service are entitled to substantial discounts. Contact steven.smith@lawatwork.co.uk for a bespoke, no-obligation proposal based on your exact requirements.